Former Liberal Democrat leader Lord Ashdown has been involved in a car accident that left one motorist hospitalised with serious injuries and another dead. The crash occurred at a notorious accident blackspot at Turnpike Cross on the A356, between the A303 and Crewkerne, Somerset at around 5pm on January 24. Lord Ashdown, 72, and his wife Jane were driving home from the train station when they were involved in a pile-up with a Vauxhall Corsa and a Transit van. It is thought Mark Hurford's Vauxhall Corsa clipped Lord Ashdown's Renault Scenic as it rounded a corner and although the Ashdowns 'miraculously' escaped unharmed, Mr Hurford, 49, died at the scene. 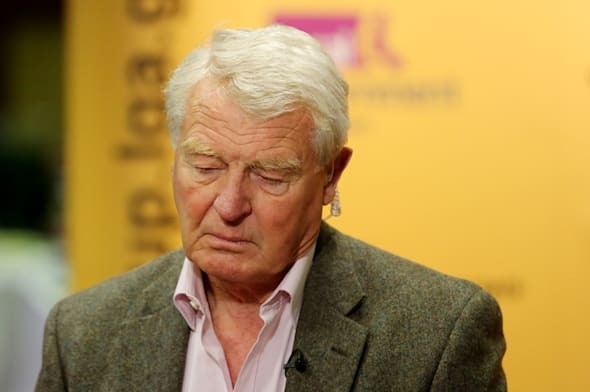 Lord Ashdown told The Telegraph: "We were coming back from the station and my wife was driving me home. "We were about a mile outside Crewkerne and a car came around the corner. "My wife was in the driver's seat and miraculously and thankfully she was unhurt. "However, the young man was dead by the time I reached him. "We are very shaken by it, but of course very concerned for the young man's family and wife." A passenger in the Transit van was taken to hospital to be treated for a dislocated shoulder and back injuries. Locals know the road as a notorious accident blackspot and residents have campaigned to make the area safer. The Mirror reported that Lord Ashdown has been in touch with Mr Hurford's family and offered his condolences following the crash. "I spoke to his wife over the weekend and expressed my condolences," he said. "My wife and I are very upset for the other family." Investigating officer Pc Andy Grigg, from Avon and Somerset Police, is appealing for anyone who witnessed the crash or saw the vehicles before the collision to come forward.